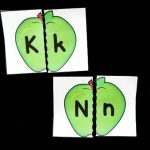 Need an alphabet activity to work on beginning sounds? 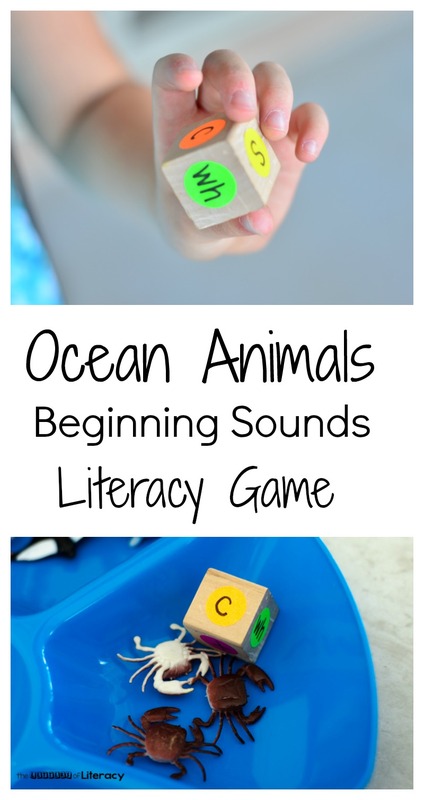 This ocean animal literacy reading game is perfect for that and would be great for an ocean theme or just for teaching children the basics of learning to read. I take any opportunity I can to make games out of these Toob ocean animals. We have several of the sets and are always on the lookout for more. All of my classes and my own children have found them to be absolutely irresistible! And learning is so much easier when children are presented with items that they absolutely adore. 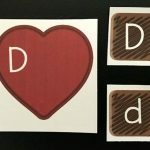 I decided to make this a hands-on game to help my son work on matching letter sounds to objects. 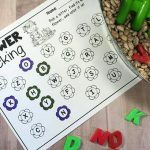 We are working on pre-reading skills, and I wanted to give him a concrete way to associate beginning sounds. 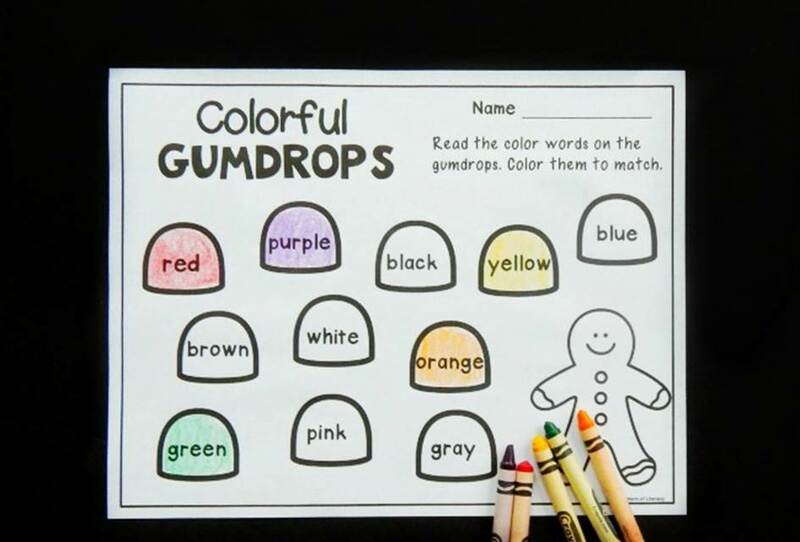 This is super easy to set up and would be great in a literacy center, a small group activity, or even as a circle time activity. Find ocean creatures that begin with six different sounds. Our sounds were /sh/, /s/, /t/, /wh/, /d/, and /c/. Then I wrote all of those letters on one side of the wooden block to make it into a die. I used the dot stickers so that I could take them off when we used the block for other future projects. 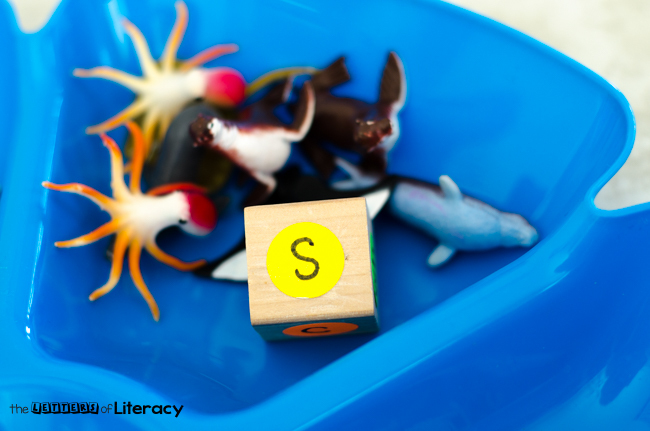 There were two ways we played this ocean creature literacy game. 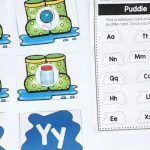 The first way would be great for children who are just learning beginning sounds. 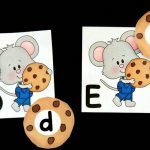 Divide the animals out by letter sound. Put each animal in a separate tray. We had crabs in /c/, sharks in /sh/, and more animals for the rest of the sounds. Now, it’s time to roll! 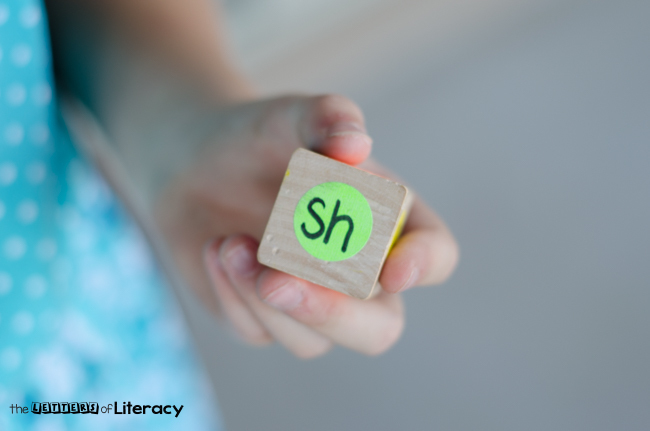 When the child rolls the die, help them identify the letter sound that pops up. 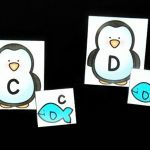 Next, they get to match the correct animals to that letter sound by putting the letter sound with the correct sea animals. 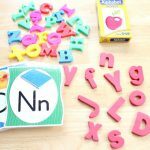 For children who are already confident with beginning sounds, you can make it more challenging. Put the ocean creatures into a bin and have the child roll the die. Whatever sound it lands on, the child will then find a sea creature among all of the rest that matches with that letter sound. Then they can either put it back or put it in the dividing tray. 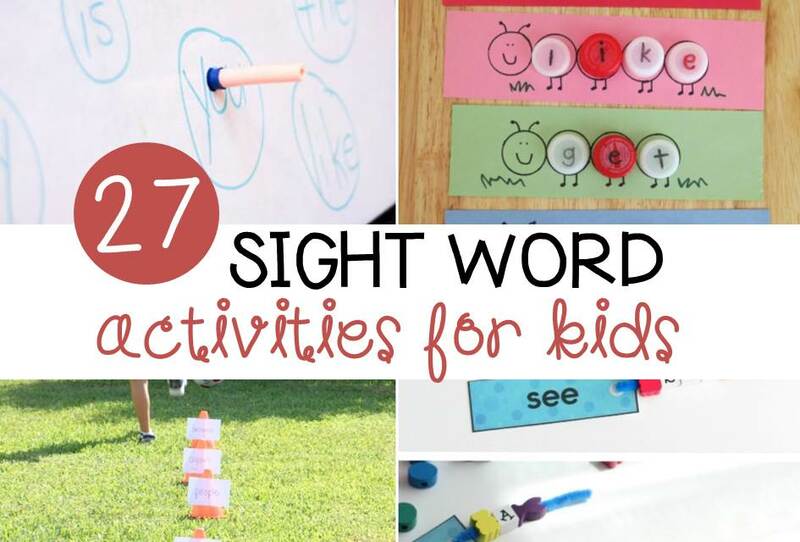 This activity is so inviting and fun and my son played both ways with all of our sea animals. I’ve lost track of how many we’ve played, but it’s at least 30 by now! 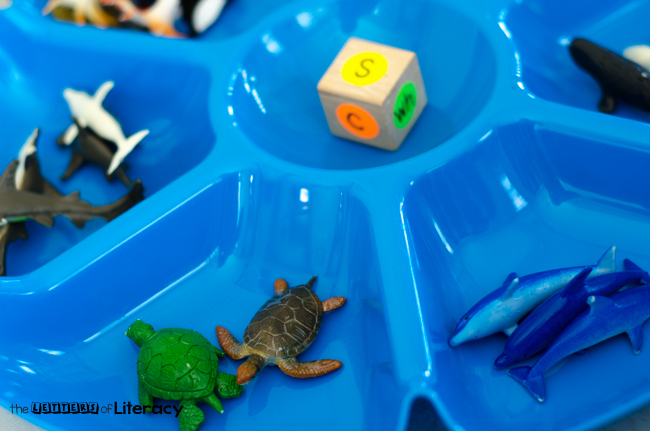 Not only is this ocean animal literacy game fun, it is a great way to sneak in pre-reading skills. haha wow how cool! 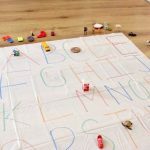 Who needs board games when you can make up your own like this one. It’ll be easy to find all the parts to make one my own for my class. Thanks so much for sharing this really cool game! So glad to hear, Jack! Enjoy!